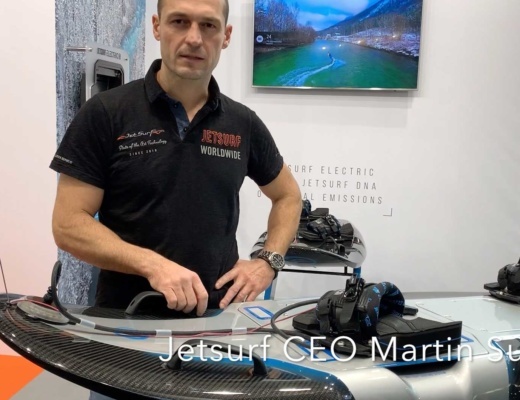 Not directly at the show floor at boot 2018, but off-site in a small pop-up office the CURF e-jetboard was introduced. 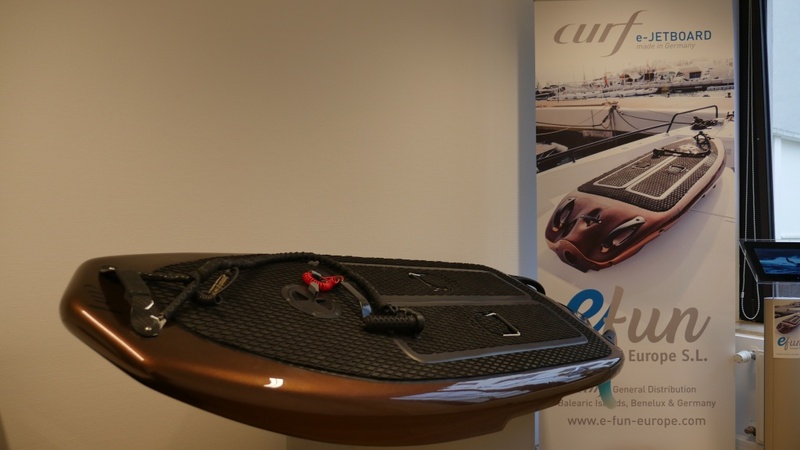 The CURF electric surfboard from CURF Technology GmbH claims to be the fastest electric surfboard with up to 38 mph or 61 km/h. We had a chance to meet the crew and had a first look at 2 prototypes. 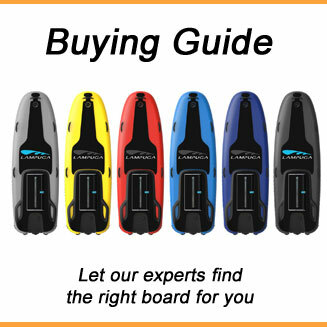 The CURF e-jetboard is not using a remote control, instead it is controlled with the handle which is connected to the nose of the electric surfboard. Please note that all specs are based on the CURF website, but we will try to do a real review with a test board as soon as possible. 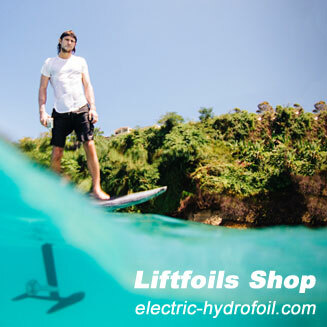 16,000 watt shall accelerating the jetboard from 0 to 31 mph or 50 km/h in 4.2 seconds. This is fast. 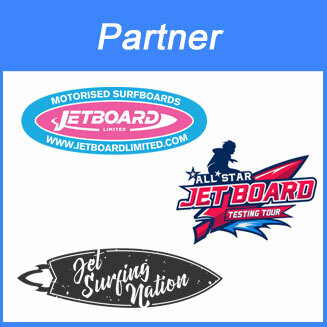 The powerful engine can also tow a waterski, wakeboard or hydrofoil as you can see on the videos at the CURF website. 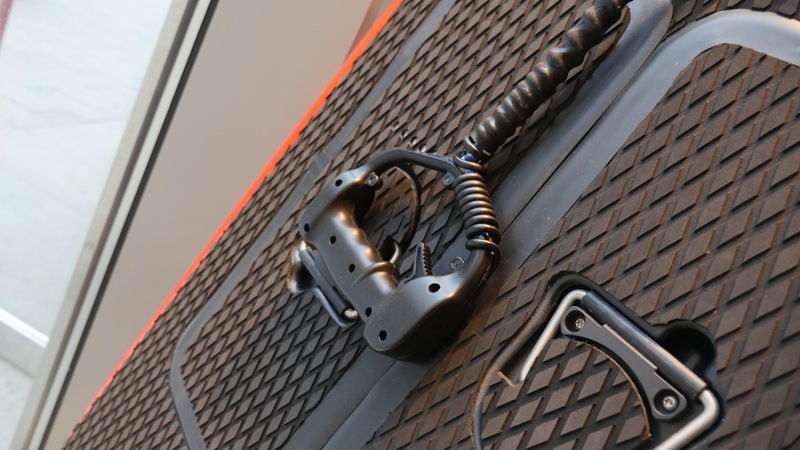 CURF Technology GMBH developed a patent pending plug- & play replaceable battery system, which is supposed to make it very easy to exchange the batteries to extend the riding time. 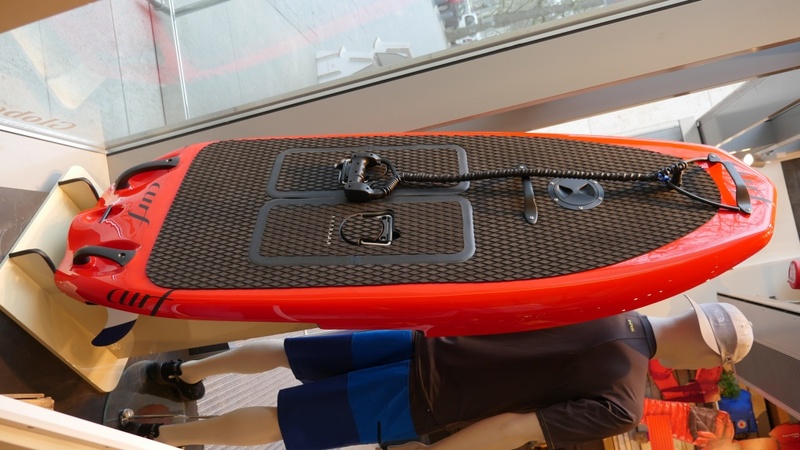 The CURF e-jetboard is 192 cm long, 73 cm wide, 26 cm high and has a weight of 66 lbs or 30 kg without batteries. 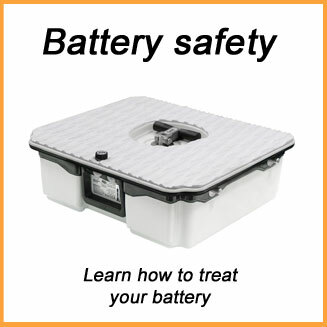 The small battery is 13 kg and the big battery 18 kg according to the distributor website. 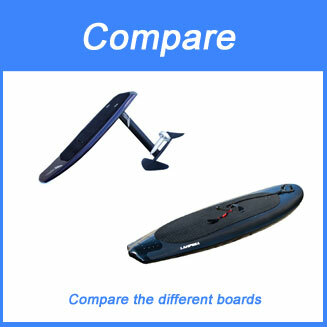 The CURF website was claiming some minor different specs, but this is due to the fact that the boards are still prototypes as confirmed in our meeting in Düsseldorf. 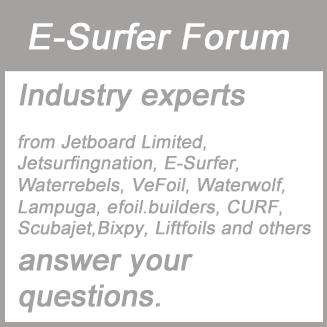 The retail price is 14,950 EUR and the e-jetboard shall be available from spring 2018. Currently they have a distributor for Germany, Benelux and Balearic Islands as well as a distributor for the Middle East. The Distributor e-Fun Europe S.L. (e-fun-europe.com) from Krefeld is also running a test center at a cable ski lake close to Krefeld.